← Kenneth Rexroth. Excerpts from a Life. 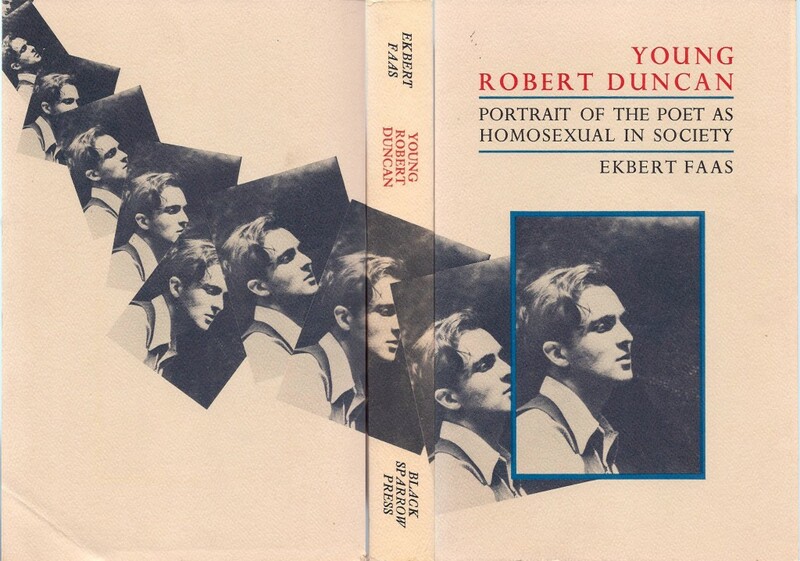 Edited, with a foreword by Ekbert Faas (61pp) Santa Barbara: Conjunctions, 1981. .
“Bartlett: What do you think of the Ekbert Faas biography, Young Robert Duncan? Everson: Terrific. I thought I knew Robert, but I found I hardly knew the first thing about him. His incredible early life carries the account. You find yourself marveling that he survived at all, then that he emerged with intelligence intact. Some of my friends were put off by the fact that English is not Faas’s first language, but in my reading that proved a plus. The Europeans bring a more historical and objective biographical perspective to the individual life, which effects a kind of cultural canonization that Robert’s heroic courage, intrepid eccentricity, and aesthetic integrity can sustain. The stiff, rather formal diction, detachedly unshockable, puts its painful burden in benign perspective. I predict the book will prove to be one of the cardinal elements in Duncan’s posthumous literary reputation. Bartlett: How did Duncan regard it?